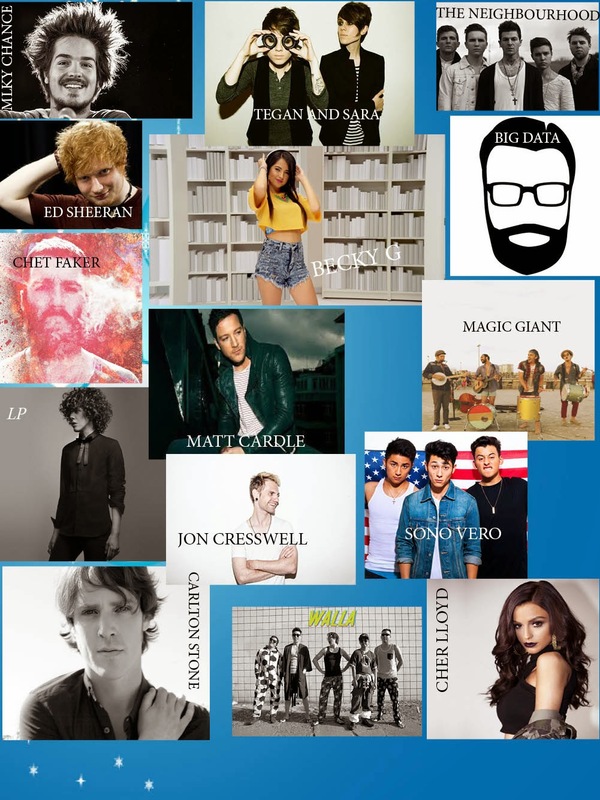 2014 was a spectacular year for music and the Los Angeles based indie radio station known as KGUP 1065 FM "The Emerge Radio Networks" as they reached new heights and have expanded across the world. Over the course of nearly 2 years, the radio station has been growing exponentially and can be heard on many radio networks across the globe. The Indie-Alternative radio station has grown so rapidly, they had to dedicate an entire page to show and support all 16-radio networks that play and endorse KGUP. In 2014, KGUP has come across some familiar faces and discovered some of the most amazing emerging artists from the independent music community. One independent artist in particular goes by the name of Sono Vero. Sono Vero took the Number 1 spot for the Most Requested Artist in 2013 and held on to the top spot well into 2014 for 18 weeks straight. 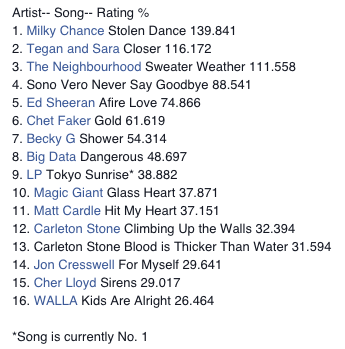 Below is a list of the Top Rated Artists of 2014. This data is based on the total number of listeners tuned in for a particular song and have performed the best throughout the year. Moving into 2015, a congratulations to this weeks Most Requested Artist of the Week, LP. Her song “Tokyo Sunrise” has maintained the Number 1 spot for the 5th week in a row and is the first artist to be Number 1 in 2015. Listen for yourself and you'll discover why KGUP is becoming one of the best radio stations for independent music by going to www.kgup1065.fm and www.kgup1065.com or listen on your smart phone or your hybrid/electric vehicle by tuning on TuneIn. Search for "KGUP".